Newly hired personnel are subject to employment agreements. 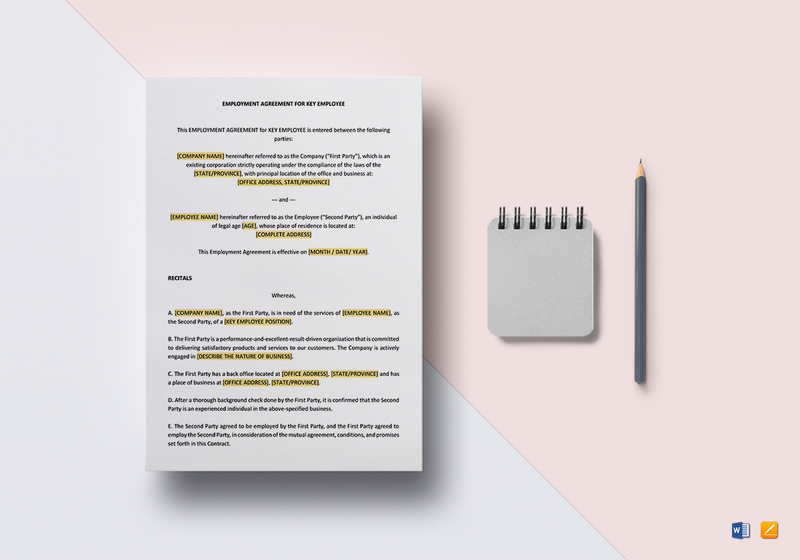 Make your work much easier by forgoing the drafting stage. 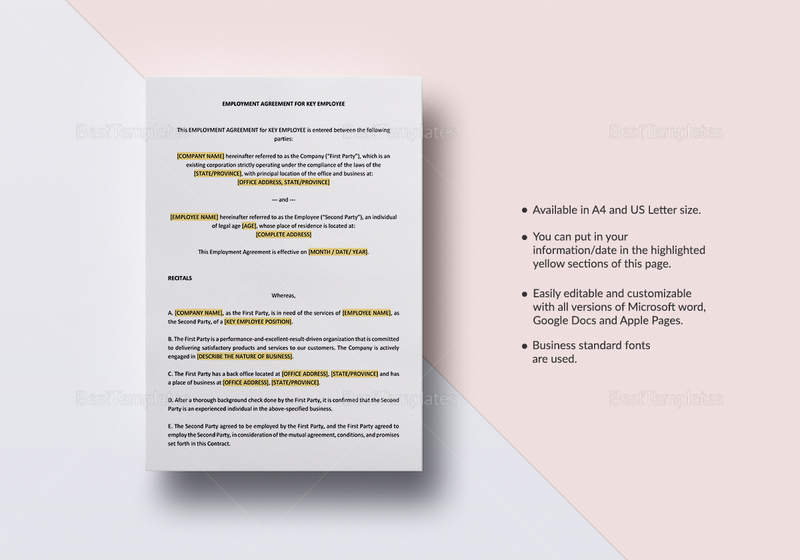 Simply download this key employee template and change the highlighted areas with the necessary details to make the template fit your business objectives. Print, sign, and download this file now.